Those familiar with the Tibetan Spaniel temperament say that it makes her seem more like a cat than a dog. For instance, she's curious about everything and will climb on chairs, couches, whatever's available, to see what's going on outside. However, she makes it known that she's no cat. She loves jumping into your lap to lick your face with that long tongue of hers! This was a respectful compliment, earned because of their resemblance to the highly respected Chinese guardian lions of Chinese Buddhism. Tibetan Spaniels served as guard dogs on monastery walls. Their keen eyesight allowed them to see for long distances, so they could keep a good watch on things. If they saw anything suspicious, they would bark to warn the monks. They would then sleep with the monks at night to keep them warm. Determined – When she sets her sights on something, like a challenging toy, she will spend hours trying to master it. Reserved – If she's not socialized at an early age, she can develop a suspicion of strangers that makes her seem aloof. Self-confident – She knows where she's going, and she'll lead the way. Independent – She marches to the beat of her own drum, which can sometimes get in the way of her obeying your commands. Playful – She enjoys exercise, but she won't run you into the ground. Intelligent – She is sensitive to the needs of her family and will give you cuddles if she senses you've had a bad day. Happy – She is just as happy going for a walk with her family as she is spending a rainy day inside with them. While the Tibetan Spaniel temperament makes her a great watchdog, she is not in the least bit aggressive with people. On the contrary, she adores her family. She hates being alone, and she's in her glory when playing games with those she loves. However, she can become standoffish with people she doesn't know, especially if they're trying to baby her and get in her face. Socializing her early can break her out of this otherwise distant behavior. She is also great with other animals, provided you introduce her to them early on and allow her to mingle. One thing she's great at is problem-solving. For instance, if you hide her treats, she'll climb up on the counter, then use her paws to open the cabinet. She's fairly easygoing and is just as happy living in an apartment as she is in a house with a big backyard. The Tibbie is protective of older children. However, she might not do as well with a younger child, as rough play can possibly cause her injury. Like many other breeds, the Tibetan Spaniel's temperament can make her both a joy and a pain to train. The joy comes from her intelligence, which allows her to master commands quickly. Plus, she's a people-pleaser, which helps. The struggle, though, comes in the form of her independence. She may decide that she just doesn't feel like listening to you today and will try to do things her way. Being firm and consistent with her is key. Don't let her boss you around. Be persistent, and praise her when she does well. Check out these training resources to get started right!! One of the most important things to know about grooming Tibetan Spaniels is that you never go for a sanitary cut. A sanitary cut is a haircut made by a groomer that trims up the hair on the Tibbie's belly or between her legs. For some breeds this is fine, but the Tibbie becomes very itchy and will lick and scratch to the point of irritation. The only real trim a Tibbie needs is of the hair on the bottoms of their feet for hygienic purposes. While the Tibbie's coat may look high-maintenance, it's not too hard to control. All you really need to do is regularly comb behind her ears and on her rear fringes to prevent matting. Else, keeping a regular brushing and bathing regimen in order to keep her looking her best and reduce shedding. If you're not able or interested in long hikes or multiple daily walks, then the Tibbie is the dog for you. She's perfectly content with a daily walk, then spending the rest of the day lounging around the house or yard. However, her cat-like curiosity requires that you keep her fenced in or on a leash at all times. When it comes to health problems, Tibetan Spaniel puppies are generally pretty healthy. Two conditions to affect the breed, however, are Progressive Retinal Atrophy (PRA) (eye issues) and Patellar Luxation (slipped kneecap). Neither of these conditions presents themselves until the dog is at least two years old. Therefore, if you're interested in a Tibetan Spaniel puppy, you should only buy from breeders who breed dogs over two years old. Cherry Eye – an inflammation of eye tissue that is often corrected surgically. Portosystemic Shunt – the blood flow around and/or through the liver is abnormal. You also want to be careful if you're considering a Tibetan Spaniel mix. Different conditions affect different breeds, and a mix can suffer any of the conditions that affected its parents. Healthy Tibetan Spaniels are between 9 and 15 lbs. and measure about 10 inches tall at the shoulder. The Tibetan Spaniel lifespan averages 12 to 15 years. 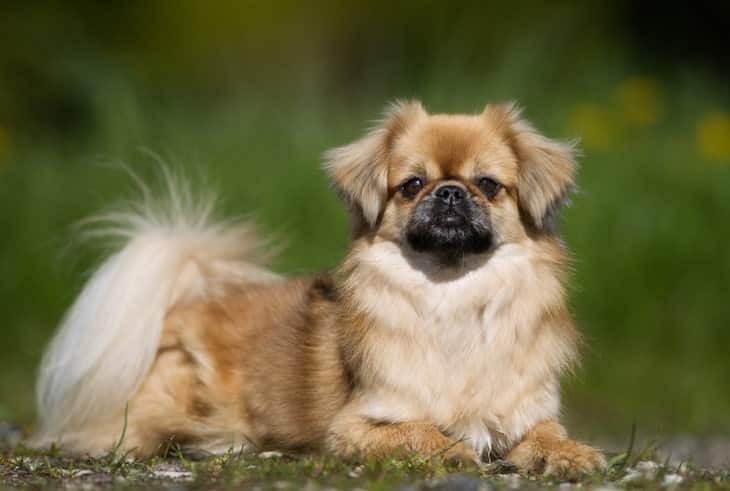 Now that you know a little bit more about the Tibetan Spaniel, are you ready to bring her home? To have a Tibbie of your very own, you can go through a breeder, or you can adopt one from your local rescue. Tibetan Spaniels for sale typically cost between $800 and $1,000. The Tibetan Spaniel price can change based on where you buy the dog from, as well as the superiority of her lineage. For instance, a Tibetan Spaniel for sale from a breeder can cost upwards of $1,000, while a rescue organization charges significantly less. If you've settled on a Tibetan Spaniel adoption, the first thing you should do is research your local shelters and rescue organizations. One such organization is the Tibetan Spaniel Club of America. They provide valuable need-to-know information for those in the market to adopt a Tibetan Spaniel. Something to remember about adoption is that you may not always have the whole story about the dog you bring home. This is because the organization may not even know everything there is to know about the dog. They can only do their best with what they know. 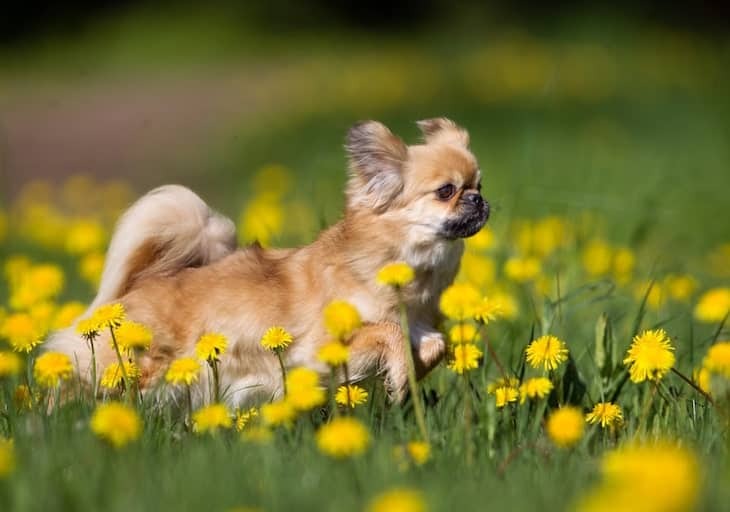 When choosing a Tibetan Spaniel breeder, be sure to choose one that is close to where you live. This way, you can inspect the space to make sure that it is clean. You also want to be sure the dog is not living in squalor or other harsh living conditions that can cause aggression. 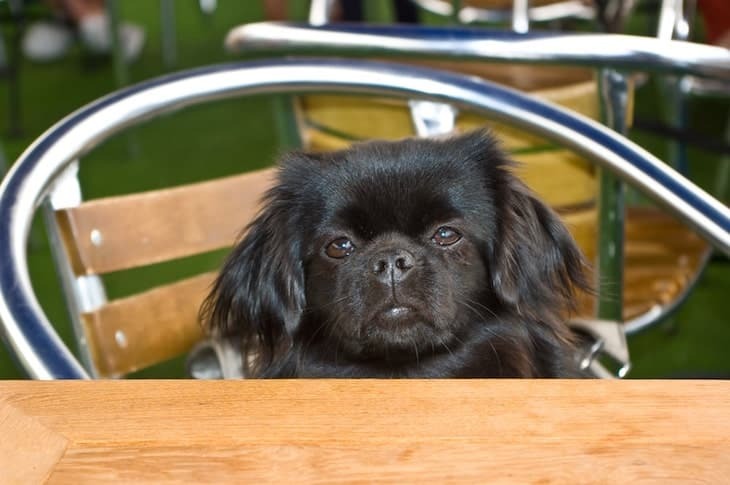 Tibetan Spaniel breeders should be more than willing to answer any questions you may have. If they hesitate to help you in any way, choose a different breeder. The Tibetan Spaniel temperament makes her a lovable scamp. She's playful and creative, always thinking of ways to solve problems. She doesn't require a lot of exercises. A daily walk should be enough to keep her happy. If you take her to a groomer, make sure she doesn't get a “sanitary cut,” which can cause extreme itching. Overall, the Tibbie is a pretty healthy dog. She can't receive health certifications (“clean bills of health”), however, until she's over two years old. Next post: English Bulldog Price Tips – What’s The True Cost of An English Bulldog?